In a year of outstanding performances from junior and under-23 U.S. skiers, Evelina Sutro has been a force to be reckoned with. She had a debut performance of 18th in the 10-kilometer freestyle at World U-23 Championships in Lahti, Finland and went on to sweep every EISA freestyle race this season. Sustaining that benchmark, Sutro placed third last weekend in the NCAA 5 k skate, a mere 1.09 seconds behind winner Julia Richter from the University of Utah and 0.01 seconds out of second place. The results speak for themselves, but the twenty-two-year-old Sutro’s recent success is a product of hard work that has been years in the making. Sutro, a native of Carbondale, CO began skiing at five years old. She joined the Aspen Valley Ski and Snowboard Club and spent her freshman year of high school at the Colorado Rocky Mountain School, coached by Nick Brown. Sutro was struck by how the Ski Gymnasium in Mora was full of athletes and coaches working hard to achieve high-level goals in sport. While skiing culture in the U.S. has evolved, it still falls short of skiing in a country that has dominated the sport for decades, where the sheer mention of its’ name conjures up images of pine tar wax, wooden skis, and wool knickers. In Mora, she trained with athletes who now represent Sweden on the World Cup and raced at World Championships in Seefeld last month, including Oskar Svensson, Maja Dahlqvist, and Anna Dyvick. This high-level environment laid the groundwork for her return to the U.S. and enrollment at the University of Vermont, where she is currently a sophomore health science major. College was the logical next step after she wrapped up her schooling in Mora. “I was considering coming back to the U.S. for a couple of years,” said Sutro. 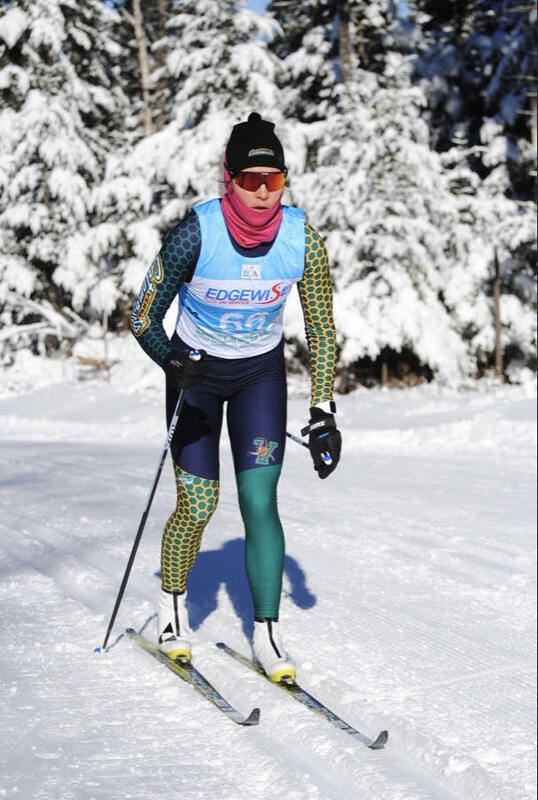 She chose UVM because she liked the town of Burlington, the surrounding area for training, and the opportunity to work with UVM Nordic head coach, Patrick Weaver. Attending UVM was also following in the footsteps of her mother, Gabriella Sutro, who was inducted into the UVM hall of fame for alpine skiing in 2000. Following her freshman year, Sutro spent the past summer training in Craftsbury with the Green Racing Project U23 summer program, where she says, “I did a lot of [technique] work with Pepa… a lot of repetition, over and over again.” These changes gave her new skills to use upon her return to UVM in her second year and help her lead the team into a successful season which ended with the Catamounts as the NCAA runner-up. This confidence set her up well to qualify for World U23 Championships in Lahti, Finland at U.S. Nationals in January. “It was a goal that I had set at the beginning of the season, which was just to make the U23 team and I obviously knew it was a far reach goal and a week before U.S. Nationals I really didn’t know if it was going to be achievable,” said Sutro about qualifying. 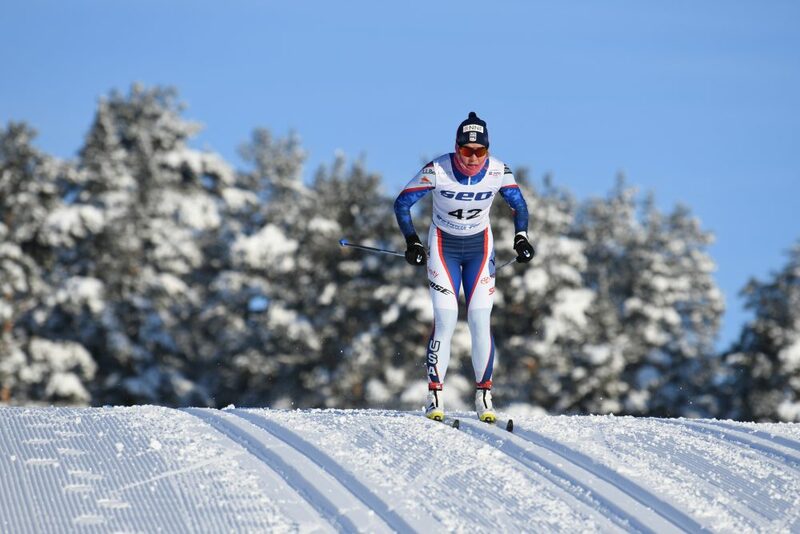 At U.S. Nationals, Sutro placed 25th in the classic 10k, 15th in the classic sprint, 16th in the freestyle sprint and had an outstanding race to place 6th in the freestyle mass start. These results were good enough to secure her starts at World U23 Championships in the 10k freestyle and classic sprint where she placed 18th and 37th, respectively. Despite balancing a packed racing schedule, success abroad, and a full load of courses, Sutro still has plenty of racing left this season. Currently, Sutro is at OPA Cup Finals in Oberwiesenthal, Germany where racing consists of a freestyle sprint followed by a classic mass start and a freestyle pursuit. She also plans to attend SuperTour Finals in Presque Isle, ME.